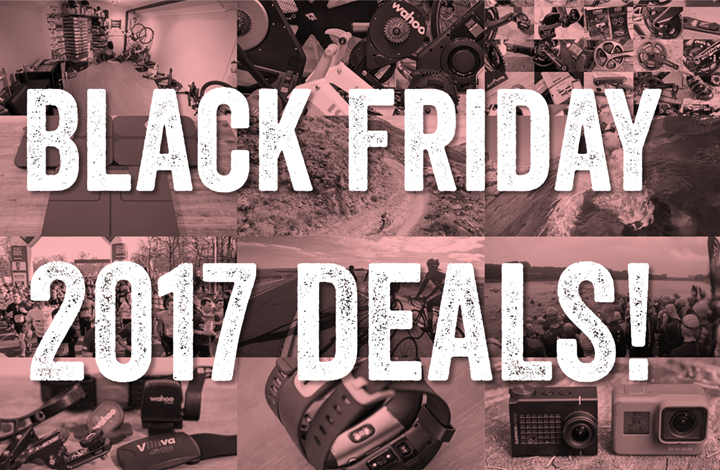 Thursday: Don’t forget the Massive Black Friday/Cyber Monday Deals Page! Basically, all of the internet. I’m sure you haven’t missed my massive post above, which is uploaded many times a day – especially this past Black Friday as well as tomorrow on Cyber Monday. 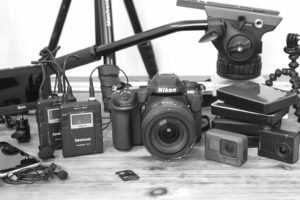 1) Getting the shot: A look at what it takes to get a single shot that goes into one of GoPro’s major launch videos (the videos that are effectively the ‘trailer’ for a new camera). And this ignores the massive amount of prep time, or all the other people standing around in the video mostly not featured. Said differently: Aside from the occasional dumb luck shots, getting these epic shots takes a lot of work. Note specifically the part about waiting for the sun. Always wait for the sun. It’s the difference between ‘meh’ and ‘holy crap!’. 2) Garmin and Samsung wearables could earn you health care savings: Up to $4 per day for hitting the required activity levels, assuming you use UnitedHealthcare anyway. 3) Triathletes race bike share systems in Washington DC: This is actually a really well put together test, and is very close to how normal people would have to use such systems (i.e. bikes not always near any given location). Of course, the routes will vary by an individual’s preference but interesting stuff. 4) Is DNA based fitness testing junk science? The Verge seems to think so. Here’s a surprisingly detailed piece on one $300 service they tried. 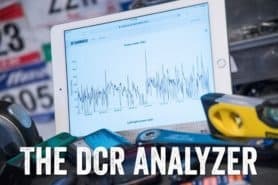 6) What’s going on with Zwift Power: If you use this platform for Zwift race results/metrics, here’s a bit of a Q&A on the state of things. Or, if you’ve never heard of it, worth a gander. 7) Umm, not #2? One of the random footnotes that came out of the GoPro earnings call this past August was that GoPro claimed they were the #2 drone manufacturer behind DJI. Of course, I poked fun at that notion since basically in the grand scheme of consumer drones, there’s DJI…and DJI. Certainly there are plenty of other brands, but nobody in most North American markets (or even European markets) cares about them (even though some are actually good drones). Either way, this report from the FAA actually shows that GoPro is quite a bit further down the rankings of registered drones than #2. Of course, there are tons of reasons why this is, but still, I found the data interesting. 8) Polar now does Strava Live Segments on V800: This happened amidst all the Black Friday stuff randomly, and I haven’t had a chance to go out and try it out. Either way, cool to see them continue to add features to this now almost 4-year old watch. Garmin FR935 BETA Firmware Update: Latest Connect IQ support, plus a few other tweaks/fixes. Garmin Edge 1030 BETA firmware update: Handful of new minor features, mostly just other tweaks/improvements. Garmin Fenix 5/5S/5X BETA firmware update: Similar to FR935 one, a few minor fixes, new Connect IQ updates. 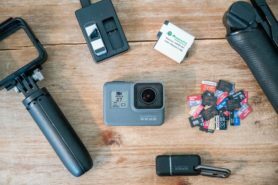 GoPro Hero6 Firmware Update: Largely performance improvements and bug fixes. 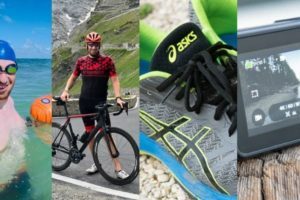 Polar V800 Firmware Update: This is a biggie that adds in Strava Live Segments, the long-promised GoPro integration, and OH1 fitness test support. « Don’t forget the Massive Black Friday/Cyber Monday Deals Page! That bird drafts WAY better than most age group triathletes. There ends a compliment from someone (me) who REALLY does not like pigeons; well, at least the stuff that comes from them. 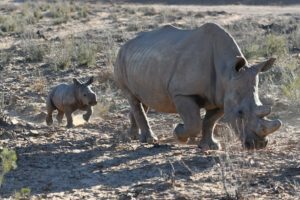 Ray – is it me just me?, I have not been able to this post on the main site all day. I am on Google Chrome. Tons of comments coming in. Any idea which page you’ve been rejected from? 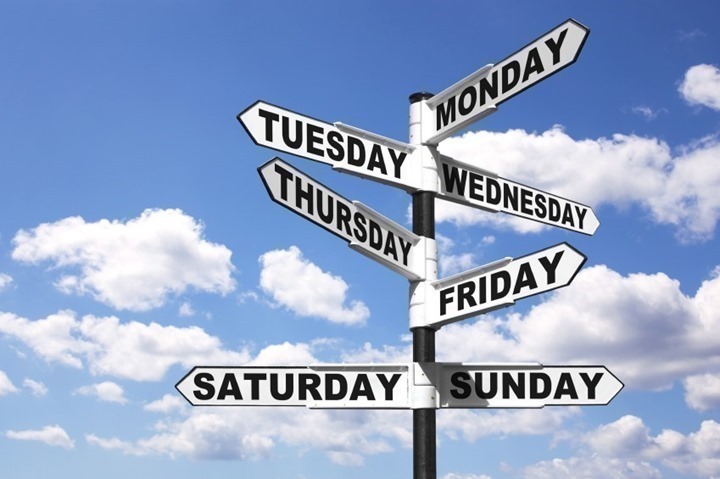 Ray – I could only see up to the Black Friday post, so whilst I received the Week In Review email, I could not see physically see it appearing online via Chrome. All the comments were also ‘stuck’ at an earlier point in time. It seems to be back to normal for me. Do you have a timeline for more infos on the rylo? Given that Christmas is coming, a hands-on would be much appreciated to understand if it’s a legit alternative to a Hero 6. Heard any updates on the Garmin running power app? I am one happy Polar V800 user! The new firmware also included a few bug fixes! STRYD now works fully along with a paired HR sensor, and sleeptracking is now working fine again! I think Polar V800 combined with a STRYD is the best running watch on the market for any serious runner! I do not need a lot of smartwatch functionality: I need high quality data to improve my running!!! It’s honestly never been better. Of course, it really depends on what platforms you use, but with apps it opens up a lot (albeit…with that remote). Crazy to see the V800 still get firmware updates and support. The V800 and the Fenix 2 were the two watches I was choosing between before each was released. I chose the Fenix 2 because at the time of its release the V800 did not have open water swimming functionality (it was added a few months later). Seeing this, I feel like I made the wrong decision. 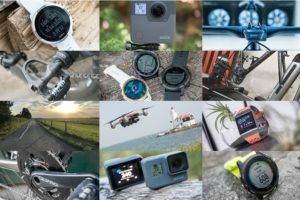 Polar has continued to improve its product, while Garmin has released 4 new variants in that time frame (f3, f3hr, Chronos, f5/935), and hasn’t released a firmware update to the f2 since 2015. 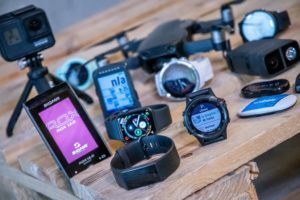 Polar has kept its product valuable and as reasonably competitive as its hardware will allow, adding functionality, while Garmin just tries to sell consumers new products every year. Sorry if this sounds like sour grapes, and my F2 is still totally usable and gets the job done (except every activity I sync shows up as unknown activity type). In fact, it is so close in core functionality to the newest watches that I still haven’t upgraded (and I could get a 935 through my insurance company for $409). I am not a Sith (only deal in absolutes), and so I will not say I will never buy another Garmin, but I will be very analytical and critical before purchasing anything from them, especially if there is a similarly priced/similarly functional bit of tech from a competitor. I have the 935 and love it. The best fitness device I have purchased. Having said that, Garmin just does head shaking things with their software. Like, not having training status on the 935 incorporate rides I do on my 520. This essentially makes all their advanced first beat metrics useless for me. There are of course other things, but this one thing makes me wonder who is in charge at garmin and do they use their devices at all? 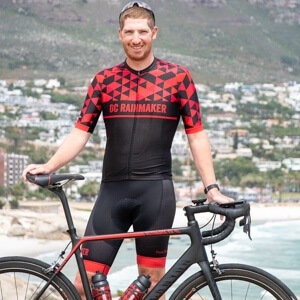 Some of the best bike company’s are good because their employees love biking also. also. Why have the 520 turn on when you plug it in to charge? Freaking annoying as hell. Come on Garmin. I really can’t think of a single reason why I would want the 520 to change state when I plug it in to charge. I think in some ways you’re comparing apples and oranges. In the case of the V800 – it was dismally non-competitive at launch. So all these years have actually been spent release firmware updates to get it on a competitive footing with Garmin and Suunto. The Strava Live Segments is the very first feature out of everything on that watch that’s ‘unique’ to a watch produced in that timeframe. Of course, Garmin’s had it now on wearables for 18 months or so (FR735XT I think was first). Not saying companies shouldn’t continue to add new features – they should. But keeping perspective is important. Otherwise we get into a case where we’re rewarding companies for doing things they should have done at launch. That’s no different than ‘rewarding’ Garmin for fixing a bug or issue (like the Vivoactive 3 not having manual lap). Yup, Garmin knows it’s an issue. Their plan is to start doing that cross-device in Q1. You’re actually seeing some minor things already to that effect on the platform side. There’s a lot of aspects of it more than purely just training status. But I had a very frank conversation where they totally get they’re hurting their very best customers (the ones who buy multiple generally high-end devices). My suspicion here is that it’s powering it on because it wants to offload files. If you plug it into a computer, that’s what it does. I suspect that it doesn’t know for a bit after USB is inserted whether it’s data + power, or just data. Now, as for powering on AFTER you unplug…I’ve got no idea why that does that. Though, it does auto-shut down within 15 seconds on mine. all good info/points. But for data transfer, it would make more sense to have to turn on the device then plug it in via usb, not have it auto on. Also, with phone syncing I never plug it in to a computer anymore, just plug it into charge. For the first beat cross device stuff. I wonder if this would require them to make major software changes. Like, on the 935 it appears that the training status is on device calculated. But for cross device, it would make more sense to have garmin connect calculate training status and push it to the device. But this brings more problems. As, if a runner goes on vacation for a week and doesn’t have access to GC for some odd reason that would make training status not work if it were to be GC centric. So, in the end they need some hybrid syncing process where it is calculated on the device but can also pull workout data from GC and utilize it. I can see how this could create many errors. I think the logic on auto-on is that if you just plug it into your computer it’ll take care of itself (be it transferring files, updates, etc…). As for the cross-device, indeed, it’s a much bigger fish to fry than at first glance. There’s a ton of pieces that all have to be proper on all platforms: Device A, GCM, GC, Device B. Each of the devices that end up cross-platforming also have to understanding how to accept the data from other devices. So if you just update the Edge 520, then how does the FR935 know to get the Edge 520’s data? So both need updates. As does every other device. The real quick is where they draw the line on devices to get firmware updates that cross-platform? They’ve been working with FirstBeat on normalizing much of this on the backend since this summer. Most of it’s not visible, but if you’ve been watching super carefully you’ll notice every few weeks or so a new metric will show up on GC/GCM that wasn’t there previously. All stuff that’s been on the devices (2017 devices), but not previously on the platform. I think their hope is that it goes as smoothly as the TrueUp stuff they did two years ago with calories/steps across devices. They quietly turned on that switch one day and it just kinda worked. No real major issues, which is somewhat impressive when you consider how many moving parts are involved with something like that. Why can’t the auto on logic be a configed thing? When I plug in my 1030 I’d much rather have it turn on enough to be in USB sync mode but seems like it likes to fully turn on. Yes some people want that (especially with the special external battery) so can be the defauly by why not make it configurable? Boot up isn’t that fast to make it a non issue when trying to quickly load a ridewithgps course. From an environmental point of view, Polar’s approach makes a lot more sense. Similar to smart phones, I prefer to keep my sportswatch for a couple of years, rather than to be forced to buy a new one every two years simply because the manufacturer stopped supplying it with updates. Also, as a running and cycling watch, the V800 was, IMO, always competitive. Furthermore: The running power meter support also got added to the V800, which is also rather unique for a watch from that time frame. It would be great if they just started with removing the bug between GCM and in my case a FR935, whereby a device sync from GCM deletes any of the alarms on the device if they are not in GCM – sad late-for-appointment Panda!! Love the Monty Python reference with the drafting pigeon post, always fun and educational reading your blog!